David Archuleta creates mob frenzy in Malaysia! 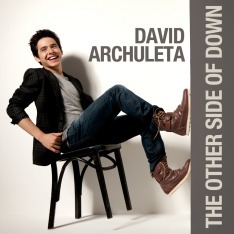 David Archuleta is the “New Cool”, someone who is soooo cool that he’s HOT. Watch his arrival at the airport in Malaysia the other day! I have had the honor and pleasure of meeting David four times and each time, I too wanted to run up to him screaming my head off. I held back because it has been many years since I was a teen and it would scare the life out of the poor guy to see me in that frenzied state. But these teens look perfectly normal to me! And oh my, am I happy to see their freedom of expression! It’s a beautiful thing. Sometimes I wonder how many feel like I do, and then I see this and I don’t feel so alone. Thanks for posting it! omg! that’s scary! but who can blame the fans?! i’d probably do the same thing and go running to him as soon as i catch a glimpe of him!